One of my favorite movies would have to be "To Live." It's a jewel of a movie set during the height of the Cultural Revolution in China—when luxuries were discarded in favor of what was perceived as a more equal society. Much of the movie features beautiful shadow puppetry, known as "shadow play" and the constant struggle to justify their existence. Made traditionally of leather and controlled by wooden posts, these puppets were first conceived during the Han Dynasty as a way to console a grieving emperor once his concubine passed of an illness. They were his court's creative solution to the emperor's edict to bring her back to life. I've always been impressed by the level of detail found in these beautiful puppets, and how both light and shadow breathe life into them. 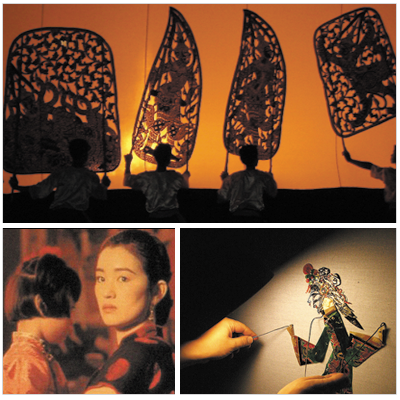 If you can find a place that performs shadow puppetry on Chinese "Moon Day" (Oct. 2), it'd be a magical way to celebrate.